How do I edit a question that was already created? How can I remove a question from the survey? What are the different types of questions that we can have? What does the "REQUIRED" button mean? When is the feedback enabled for the audience to respond? 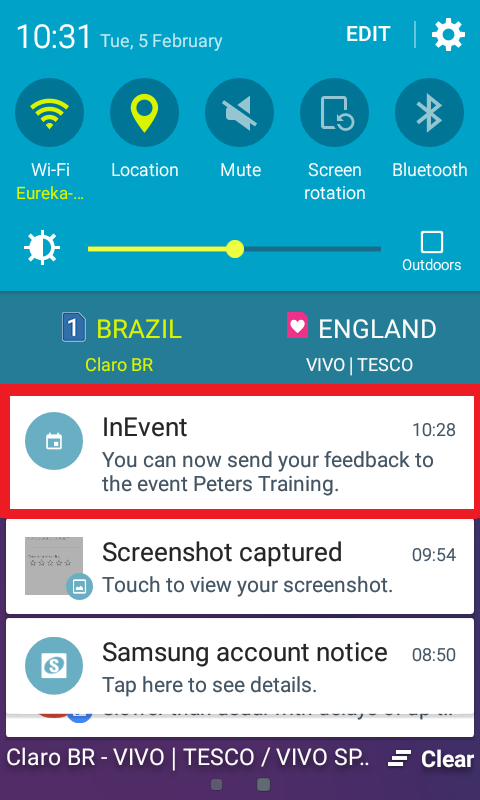 When will attendees receive the notification when a feedback survey is sent out? How do I include the answer options I want? 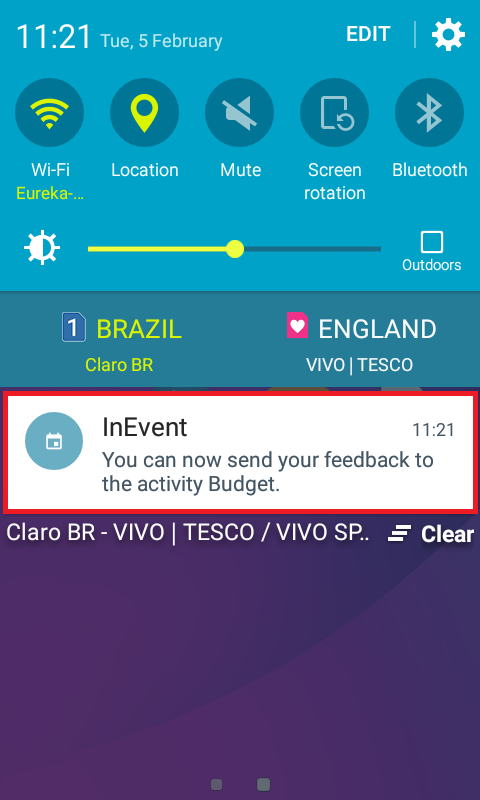 How to create a feedback survey to the event itself? 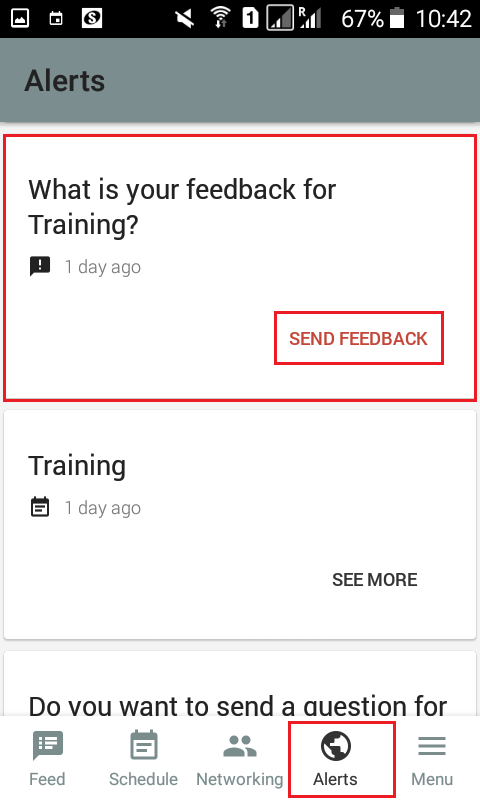 How do I view feedback polls for a particular activity through the app? 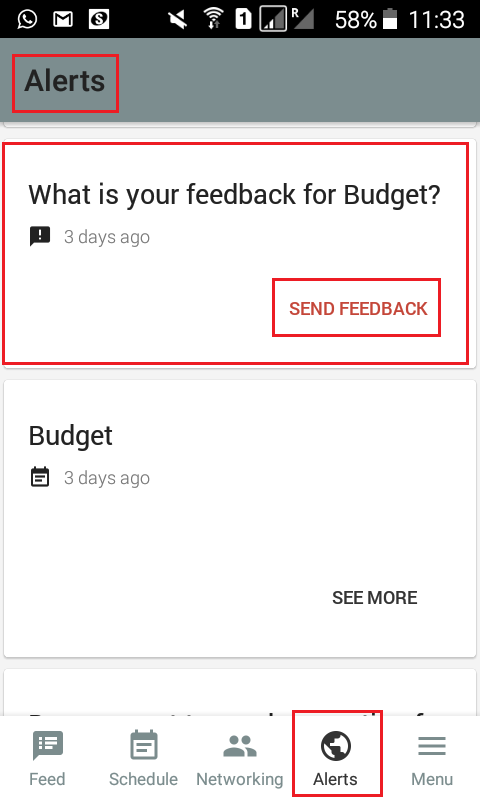 How do i view Event feedback polls through the app? 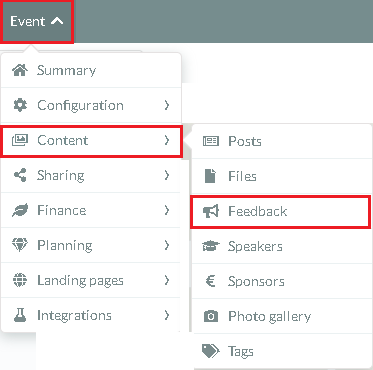 Receive feedback from your attendees regarding the event. 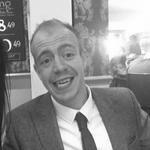 There are two types of surveys that can be conducted in your event. 1- Feedbacks regarding the event itself. Every attendee is able to evaluate the event. 2- Feedbacks regarding specific activities. In this case only attendees who participated in that activity can take the survey. Also, event organizers have the option of receiving or not receiving responses from attendees. Select the activity in which the question will be entered and click 'ADD QUESTION' in the upper menu on the left side. 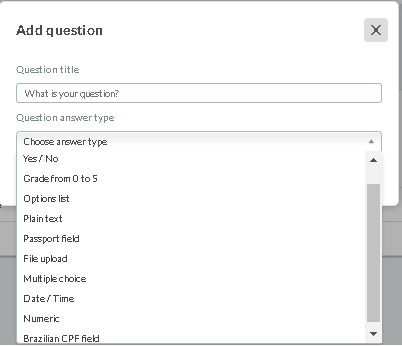 Then enter your question in the field indicated, choose the type of answer you want and click on 'CREATE'. A: To edit a question, click on the 'EDIT' button in the top right corner, Select the question you wish to modify and press the 'END' tab in the top right corner when you have finished editing. Yes or No: Used for direct questions and quick results when analyzed. Grade from 0 to 5: Used for quantitative evaluation. E.g. Likeness of an activity. Options List: Used for multiple choice questions. Passport Field: Used for obtaining the official passport number of attendees. File Upload: Used for attendee to upload a file. Multiple Choice: Here the organizer can set several multiple choice options. Date + Time: Here the attendee can choose a date and time from a calendar. Numeric: The attendee can only enter numbers in this field. Brazilian CPF: Used for obtaining the official CPF number of attendees. A: By checking the 'REQUIRED' checkbox means the attendee must answer that question to proceed. A: The opinion poll for an activity will only appear for the attendee to respond if it is visible. To do so, mark the VISIBLE field at the bottom of the screen. A: At the end of each activity , a push notification will be sent out to remind attendees to complete the survey. A: To add a new question, you need to click on ' +ADD QUESTION'> Enter your question in the indicated field > Choose the answer type then press the blue 'CREATE' button. A: To edit a question, click on the 'EDIT' button in the top right corner, Select the question you wish to edit. Press the 'END' button in the top right corner to finish editing. Date+Time: Here the attendee can choose a date and time from the calendar. A: The opinion poll for an activity will only appear for the participant to respond if it is visible. To do so, mark the VISIBLE field at the bottom of the screen.